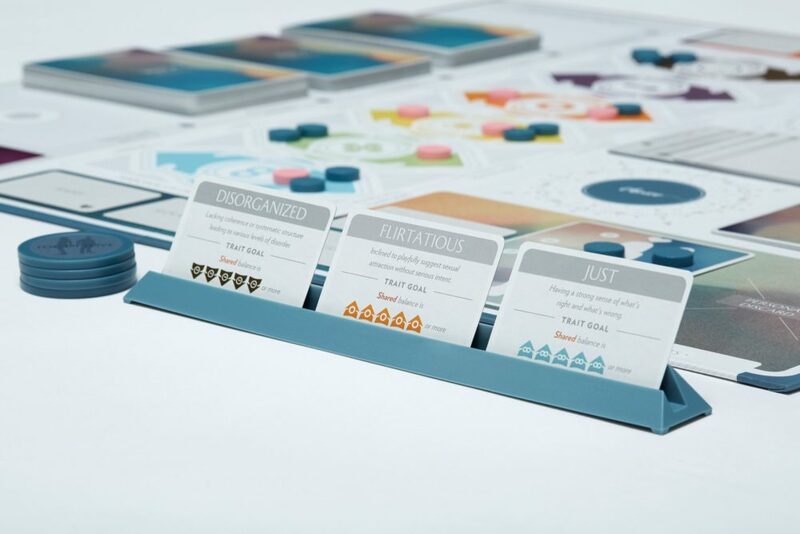 If you feel like you’ve already watched everything Netflix has to offer and you’re tired of the usual game-night suspects, you’ll love Fog of Love, a rom-com inspired board game (yes, really!). Fog of Love, a “romantic comedy as a board game,” is a two-player game in which both players begin a fictional relationship and face challenges based on made-up scenarios and stories, employing decision-making skills and role-playing through each challenge. The game may seem as complex as an actual relationship, but don’t worry, Fog of Love is receiving rave reviews online, with plenty praising it as fun, imaginative, and a great way to bond with that special person in your life (or honestly, just your bestie). Unlike most board games, this one can’t be finished within an hour—in fact, it comes with an elaborate, 30-card tutorial, so you’ll want to bring over a slew of snacks and the whole bottle of wine for this one. Fog of Love started as a successful Kickstarter campaign in 2017 and is now sold by Walmart in the U.S. and several locations internationally. It’s LGBTQ friendly and doesn’t necessarily need to be played with your S.O.—so you can enjoy a creative game night with anyone you choose.